I'm back with a very simple card for the A Blog Named Hero's Clean and Simple challenge. I was inspired by a doona cover I saw at Laura and Ashley on the weekend. I stamped the Hero Arts Hydrangea flower with blue Memento ink on two cards. Cut both cards down to two different sizes (after lining them up of course) and coloured in the smaller stamped image with Copic markers in two shades of grey. 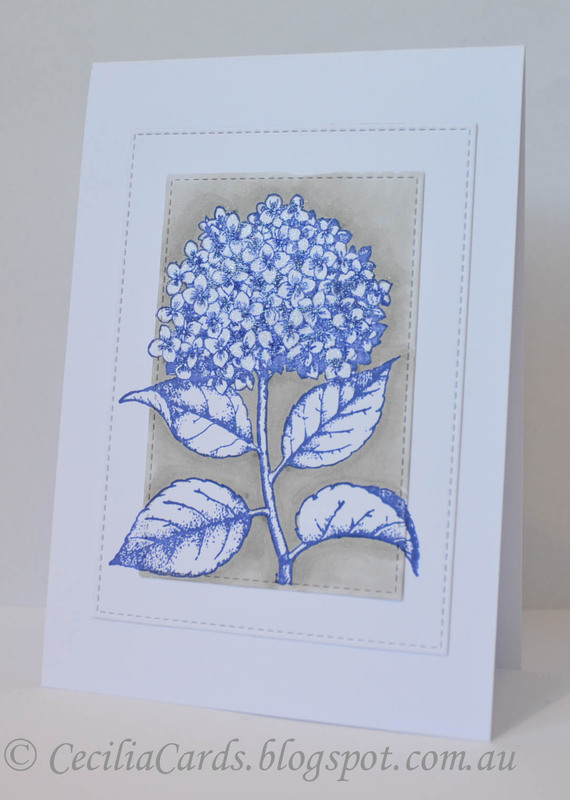 I only coloured in the background, leaving the flower and leaves in blue and white. I then later coloured in the flower with clear Wink of Stella. 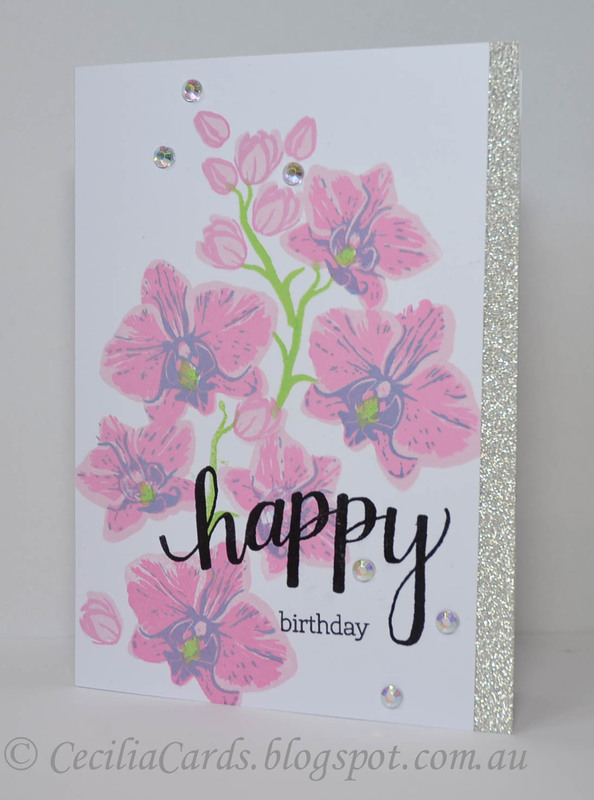 I decided not to add a sentiment as I wanted the flower to stand out against the white. I'm also adding this to Simon Says Stamp Wednesday - Anything Goes Challenge. 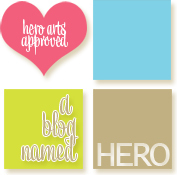 This post is for the A Blog Named Hero Facebook Fan Page. Thanks for dropping in! This week we lost two people both related to work colleagues. Both of them died on the same night at my hospital. One was a ex colleague who left over 10 years ago but still keeps in touch - she lost a very short battle with cancer. The other is a nephew of a staff member who was involved in a fight on the weekend and died under very tragic circumstances. I made two cards exactly the same on the one night. 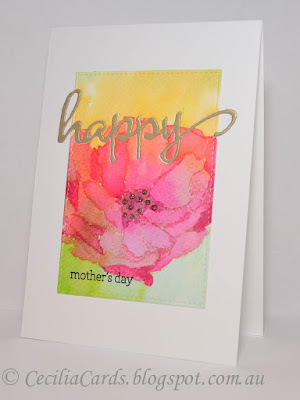 I stamped with my MISTI using Distress Inks and rotated the design. 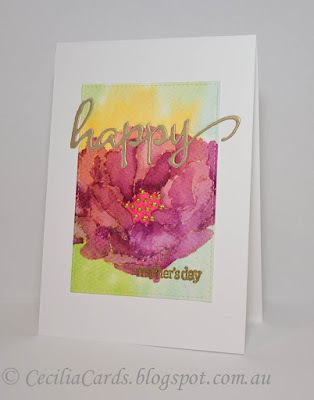 After masking, I re-stamped again with different shades of Distress Inks (Seedless Preserve, Mowed Lawn, Chipped Sapphire and Stormy Sky). I then coloured in with water and added a bit more colour. After drying, I then coloured in the background with Tumbled Glass. I sprinkled droplets of Seedless Preserve and Chipped Sapphire and added the sentiment from Hero Arts. 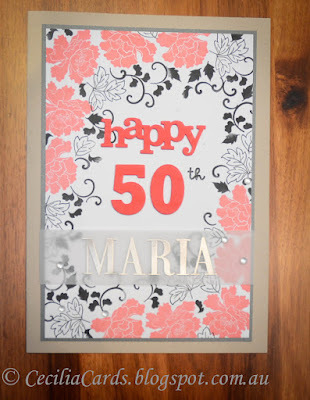 I didn't want to add any sequins but added some dots with some dimensional paint in silver. I mounted the card to Hero Arts layering paper before adhering to the card base. This post is for A Blog Named Hero's Fan page on Facebook. Thanks for dropping in! I've been wanting to try this watercolour technique for quite a while now. 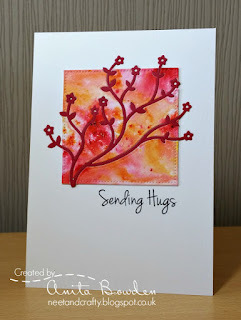 I stamped my Hero Arts Antique Rose stamp with Distress Ink Antique Linen onto water colour paper and coloured in with distress inks. I made two cards at the same time just in case one did not turn out. 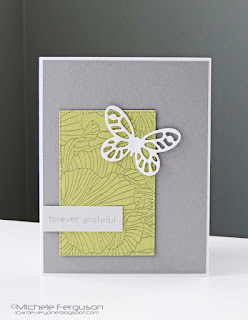 The sentiment die cut is from Winnie and Walter. Well I think that both were OK and I decided to use both of them. I was inspired by this week's Muse Challenge. Thanks for dropping by! 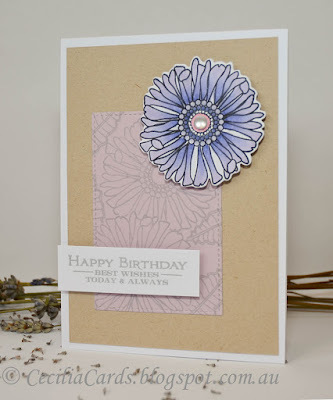 Back again with another card I made this weekend for the PTI MIM Colour Isolation Challenge based on Michele Ferguson's card on the current Muse Challenge. 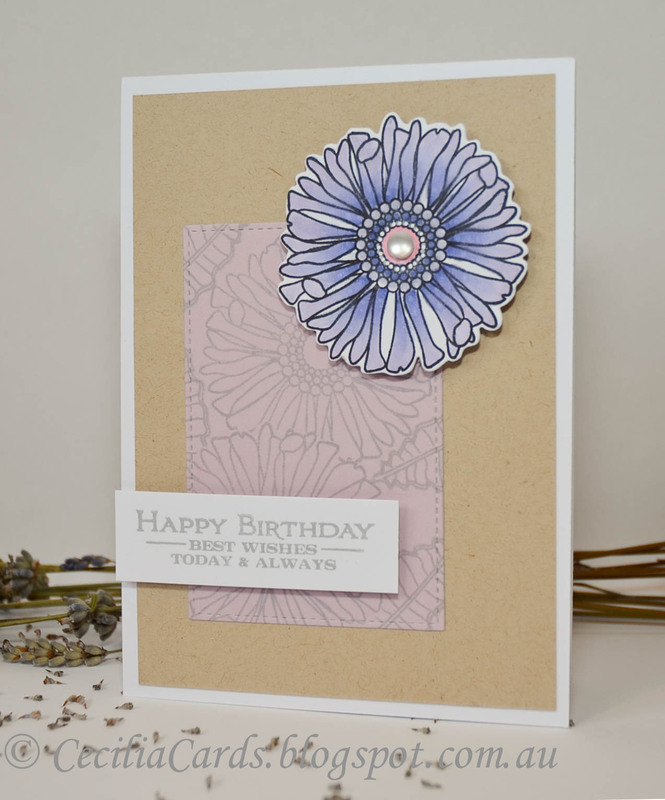 The stamps are from PTI and the flower was coloured with Copic markers. Thanks for dropping by! We went to a birthday party on the weekend for a friend of the family. Both our families were from the same hometown in Malaysia we both migrated here to Australia in 1971 and 1972. 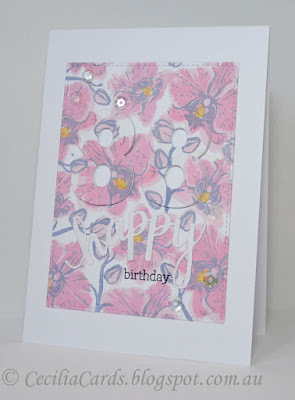 I've made a card using the Hero Arts Layering Large Orchid (I love this set) and used the Hero Arts mid-tone inks Passion Flower, Bubble Gum, Stone Wash and Butter Bar. The numbers die is from MFT and the sentiment from Hero Arts. I added a Wink of Stella to the diecuts. 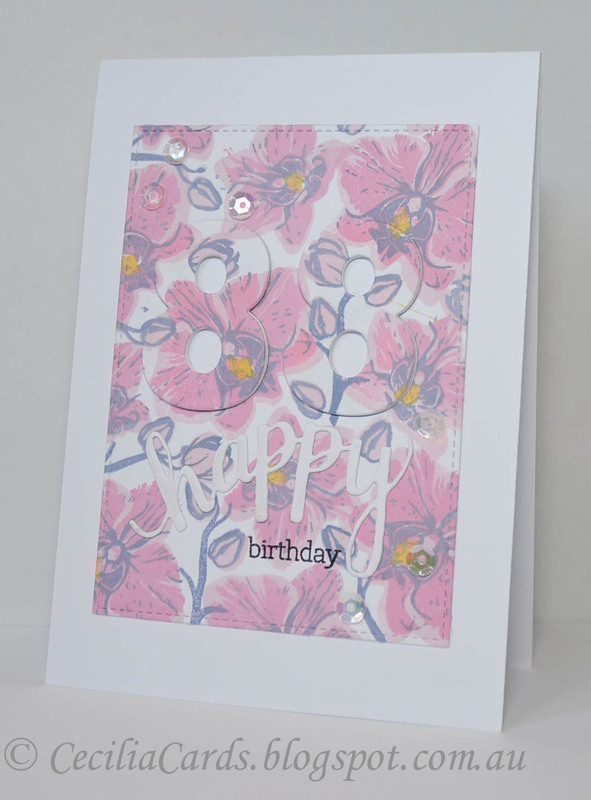 I'm also adding this to the current Fusion Card Challenge and Simon Says Stamp Wednesday Challenge - Happy Birthday! Thanks for dropping by! 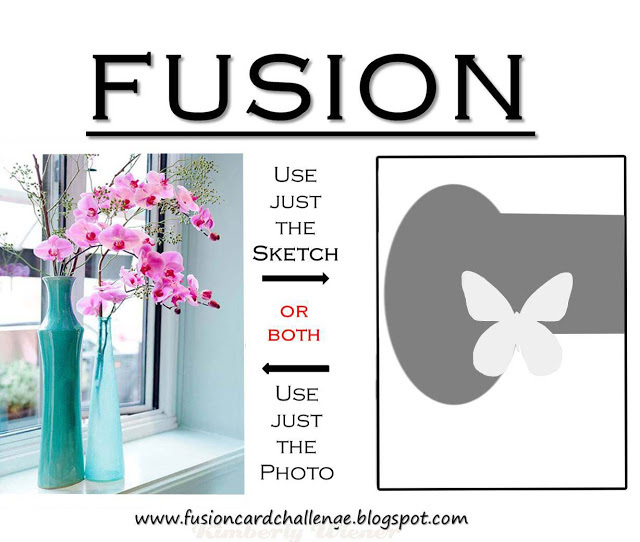 Just after I posted the last post with the Layered Large Orchid from Hero Arts, Fusion Card Challenge announced their latest challenge - Orchid Occasions. So before I got to put my stampset, I inked up two cards. The first one is below using Hero Arts midtone inks Passion Flower, Bubblegum, Stone Wash and Green Hills. 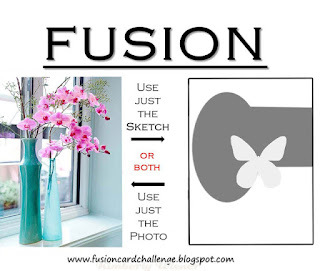 I used the photo from the Fusion challenge and not the sketch. The glitter tape is from Kaisercraft and the gems from Hero Arts. I'm also adding this to Simon Says Stamp Wednesday challenge - Anything Goes. Thanks for dropping by.